Hilret Hanson was appointed Executive, Group Industrial Relations Specialist in June 2017. His responsibilities include guiding the Group’s industrial relations strategy, promoting industrial relations harmony and compliance with labour legislation. 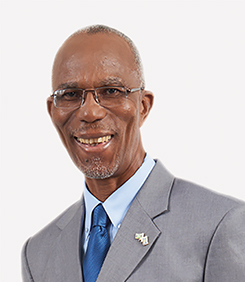 He has worked with the Jamaica National Building Society (JNBS) for more than 30 years, serving in various capacities during his tenure, such as Branch Manager, Finance Manager and Senior Regional Manager. He also worked as Executive, with responsibility for Branch Retail Operations, and most recently, Executive in charge of Business Relationship and Sales. He has also served as president of the JNBS managers’ association and as staff director.